Every growth-oriented organization is always looking for ways to stimulate and capture their target audience in their products and services. The first obvious question that comes to mind while creating a buzz is, how can get the maximum audience interested and generate quality leads. Before the digital revolution, this was a complicated task and required a lot of efforts and resources to reach out to the target audience through traditional channels like print, TV ads. With the boom of information that is readily available for a user across devices has led to exponential growth of buyers that find the right product that would suit their business. To generate quality leads today is just a matter of providing as much information as possible about the product or service on the company’s website and engage the audience through social channels and emails. However, there are even smarter ways to generate leads through a database of millions of business records. But where can you find this data, maybe search on the web, then create an excel file, then find the business in the regions you operate and finally update your CRM. What if there was a way to radically simplify this process and get everything right within Dynamics CRM with few clicks? What if you could not only find the businesses but also add them to CRM, schedule appointments, create optimized routes, all without ever leaving Dynamics CRM? Well, you can do all this with Maplytics! Let’s see how Maplytics can be useful from the Sales and Marketing Team’s perspective. Sales Reps can easily find nearby businesses within few clicks. All they need to do is click on POI button on Maplytics within their Dynamics CRM and search for the keyword of the business they are looking for. For example, if the Sales Reps are looking for Pharmacy shops located near their current location. They just need to enter the word Pharmacy and search to get all the pharmacy shops in the vicinity plotted on the map. They have now unlocked a new treasure of leads! That’s just a start; they can also create a New Account, Contact or Lead record using the ‘Create New Record’ option and add these businesses directly to their Dynamics CRM, make calls, schedule meetings, create optimized routes for a meeting and probably convert the lead to a lifelong customer. Using this information, the Marketing team can take this a step further by building targeted marketing campaigns and planning marketing events. They can use different methods like mailers or free samples for engaging these leads. We have been discussing in our earlier posts, how 80% of all your business data contains a location component and how every feature in Maplytics has been carefully designed to improve decision making from sales to service to marketing to supply chain logistics and operations. 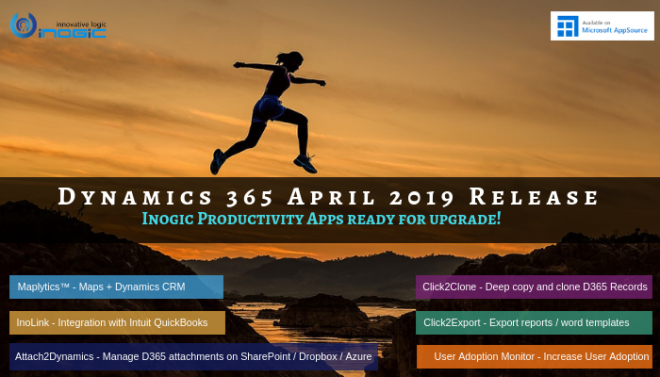 Map integration with Dynamics 365/CRM using Maplytics has been a big success for enterprises with a more efficient way of visualizing and analyzing their Dynamics CRM data on a Map and now generating new leads of course. 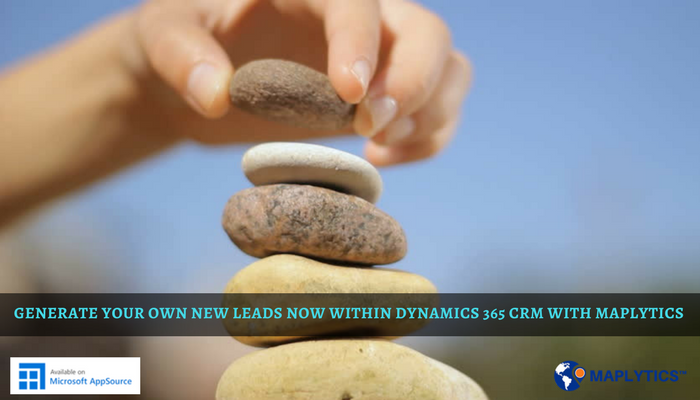 Contact us for a demo to know more about how Maplytics can help you to generate new leads from within Dynamics 365 CRM. Maplytics is a secure business app that is Certified for Microsoft Dynamics 365 (CfMD) and comes with powerful features like Appointment Planning, Sales Routing, Territory Mapping, Heat Maps and Geo-analytical Dashboards that empower organizations to add more value to their CRM data, improve sales & service processes, and achieve high ROI. Get your free trial from our Website or Microsoft AppSource!